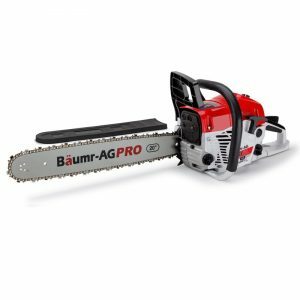 Fire up the Baumr-AG SX45 Mk II Chainsaw and let the power of its 45cc engine and direct injection carburetor do the work - effortlessly slicing through any job with a lightweight 6kg body and balanced design ensuring easy maneuverability. 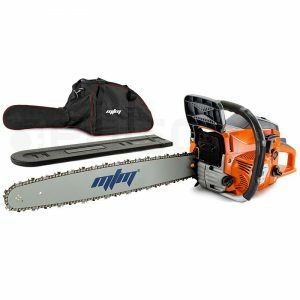 Add to this a great list of features including a patented "A-VIBE" anti-vibration system, quick tension chain mechanism and integrated chain brake and you've got one seriously powerful and effective sawing companion. 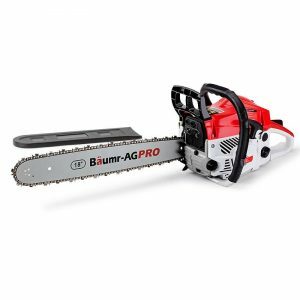 Baumr-AG's premium range patented air injection carburetor delivering enough power to take on a whole variety of different jobs - from tree work, preparing firewood and sectioning those small to medium branches, to clearing overhang and removing bush fire hazards. Also new on the SX range is the exclusive E-Start system. This patented technology means just about anyone can pull start large capacity machines with minimal effort. E-Start works by pairing two opposing memory retaining spring coils. As the user pulls the starter cord, a second coil builds energy and releases that energy all at once - instantly firing the engine! There really is nothing else on the market like it. 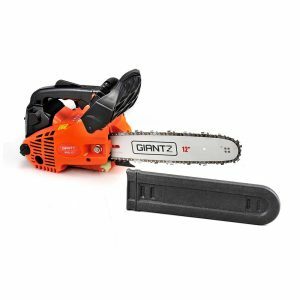 Plus thanks to its super light 6kg design, ergonomic grab bar, 360° cutting capability, superior oil feed, premium saw chain and lightning fast safety brake, using this little beast is always a pleasure. 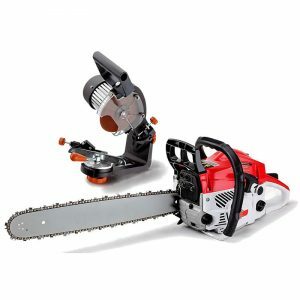 Exceeds AS/NZS safety standards with qualified supplier No.